Salter Brecknell PS2000 Multi Purpose ScaleSalter PS2000 operates on four (4) AAA batteries (approx battery life 20 hrs) or 6 VDC, 500mA adapter, both included. Includes a stainless steel housed indicator with black plastic bracket for wall or stand mounting. Scale includes 2 easy access carry handles which make scale convenient to relocate. Platform: 59" x 30" x 2.5" Capacity: 2,000 x 1 lb. Price includes ground shipping in cont'l US. 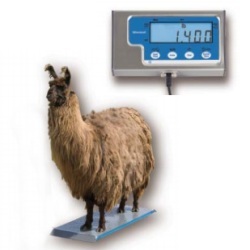 Salter Brecknell PS500-42S Veterinary Scale 500 lbSalter Brecknell PS500-42S Veterinary Scale is ideal for veterinary clinics and animal hospitals. 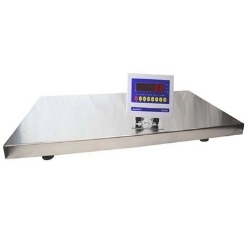 The PS500-42S features steel platform scale w/ rubber mat and digital readout. Scale dimensions are 42"x22" with a maximum capacity of 500 lbs. x .2 lbs. Not designed for heavy duty industrial use. Please note, this product is a great replacement for the old PS250-42S from Salter. Salter Brecknell PS500-36S Veterinary Scale 500 lbVeterinary clinics and animal hospitals love our PS-500 steel platform scale w/ rubber mat and digital readout. Scale dimensions are 36"x22" with a maximum capacity of 500 lbs. x 0.2 lbs. Not designed for heavy duty industrial use. Please note, this product replaces the PS250-36. 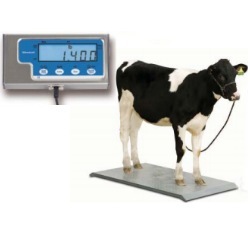 Salter Brecknell PS500 22x22 Veterinary Scale 500 lbVeterinary clinics and animal hospitals love our PS-500 stainless steel platform scale with digital readout. Scale dimensions are 22" x 22" with a maximum capacity of 500 lbs. x 0.2 lbs. Not designed for heavy duty industrial use. 1800scales DLS Livestock Weighing System ScaleThe DLS digital livestock scale is an industrial scale constructed of rugged steel with tread plate surface and large platform, 96x30 with a 4 inch high side rails. The integrated 6 inch long Ramps make it easier to get an animal or dolly on the weighing platform with ease (no lifting required). Adjustable leveling feet. 5000 lb x 1 lb AC/Battery Power. Shipping included (cont'l US). Ships via truck to business address with forklift or loading dock.